Holi is one of the most colourful festivals in the Hindu calendar. It welcomes the onset of spring and celebrates the new life and vitality of all that follows. It also celebrates the triumph of good over evil and the saving grace of God, symbolised by the lighting of the Holi bonfire. Holi also celebrates the story of Prahlad and Holika. Prahlad was the son of the evil king Hiranyakashipu. He was enraged that Prahlad worshipped Vishnu as superior, not him. After several failed attempts to kill Prahlad, Hiranyakashipu recruited his demoness sister Holika. She had a special boon to withstand fire. 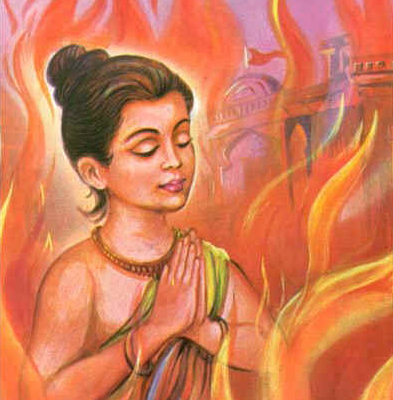 But, when she sat in a raging fire with Prahlad on her lap, she was burned to death instead while the praying Prahlad was saved by the will of God. 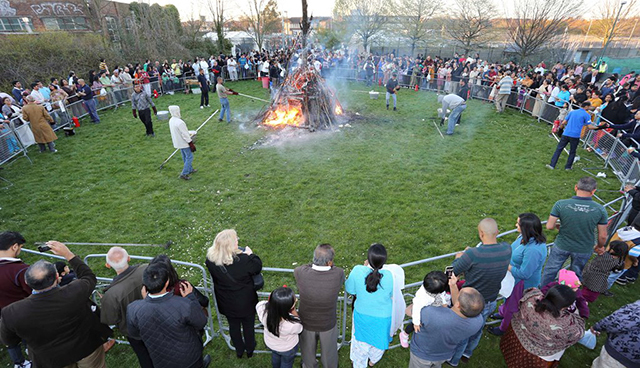 The Holi bonfire is thus symbolic of the burning of evil and represents God’s saving grace.